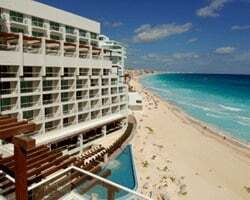 *Palace Resorts* offers a selection of ten oceanfront resorts located in Cancun, Cozumel, Isla Mujeres, Playa del Carmen, Los Cabos, Mexico, as well as Jamaica! 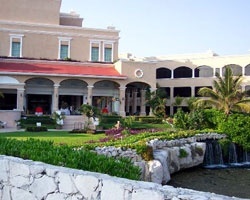 Each of the Palace Resorts was designed with a different theme in mind. When you check in at one of the Palace Resorts you are given a wristband to wear during your stay. This wristband signifies that you not only have permission to enjoy the restaurants and activities at your home resort, but at any of the others, too! When you stay at these resorts, take advantage of the all-inclusive golf package which includes unlimited green fees, round trip transportation to and from hotel, snacks and beverages at the course, and a shared golf cart! Will consider all reasonable offers! Price negotiable for a quick sale! All-Inclusive fees with many locations! Buyer may receive a title fee credit. 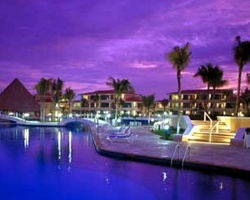 Sale includes 285 all inclusive wks! 195 VIP wks & 95 presidential wks! Buyer May Receive A Title Fee Credit, Inquire For Details! Only pay maintenance fees when you book! Owners can book any unit size! Inquire for details! Enjoy staying at your choice of 10 oceanfront resorts! Floating week! Buyer may receive a title fee credit, inquire for details! Flexible vacation membership! Choose from 10 different oceanfront resorts! Buyer may receive a title fee credit, 35 premier certificates & free week! Enjoy having to option to travel to various locations! Floating week! Buyer may receive a title fee credit, inquire for details! 200 premier weeks or 100 weeks with a presidential suite! 50 rounds of golf! Pay fees only when you use week! Buyer may receive a title fee credit! Unlimited vacations at Any Palace Resorts Properties! Most Pristine locations!! No maintenance fees! Motivated seller! Price Negotiable!! 40 weeks available! RTU until 2035! Buyer may receive a title fee credit, inquire for details! Various locations available to explore! Buyer May Receive A Title Fee Credit, Inquire For Details!! Unit available for immediate use! Choose from a fine selection of exotic destinations! Buyer may receive a title fee credit, inquire for details! 18 weeks left! Only blackouts are Christmas and New Year's! Buyer May Receive A Title Fee Credit, Inquire For Details! Discover the many locations available in the Palace Resorts network! Buyer may receive a title fee credit, inquire for details! FANTASTIC DEAL SPRING BREAK IS AROUND THE CORNER! Sale includes 20 rounds of golf and 20 weeks remaining Unlimited Vacations! Pick your vacation dates with 50 weeks available! Buyer may receive a title fee credit, inquire for details! Use up to 3 weeks per year! 79 weeks available! RTU in perpetuity! Buyer may receive a title fee credit, inquire for details! Presidential Unit, no usage restrictions! 30 weeks left on RTU! Buyer may receive a title fee credit, inquire for details! Price Reduced! Has 3 imperial - free weeks left! rtu until 2033! Buyer May Receive A Title Fee Credit, Inquire For Details! All Offers Considered! Pick your vacation dates with a floating week! RTU until 2036! Buyer may receive a title fee credit, inquire for details! Flexible all-inclusive vacation membership! 130 weeks remaining! RTU in perpetuity! Inquire for details! Pick your vacation destination from 10 luxurious oceanfront resorts! Floating week! Inquire for details! Sale includes 50 weeks on contract! Floating usage! Buyer may receive a title fee credit, inquire for details! Enjoy the many all-inclusive resorts in network! Floating week of your choice! Buyer may receive a title fee credit, inquire for details!